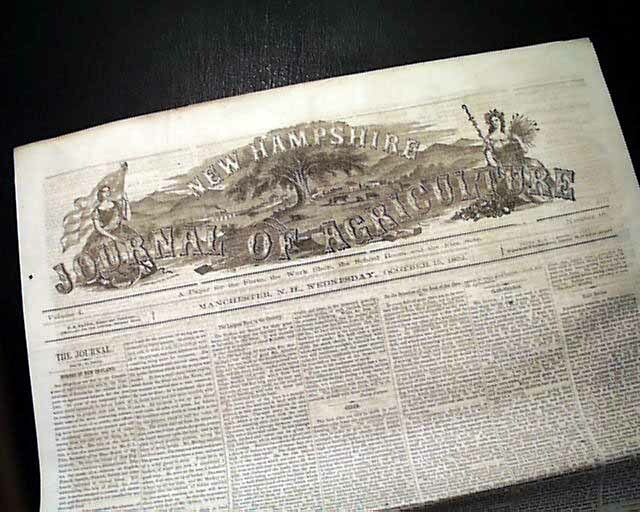 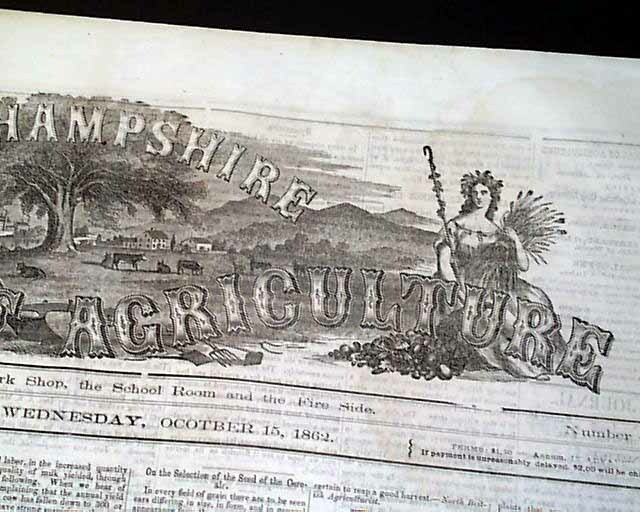 The title reflects the theme of this issue, being primarily a farming-related newspaper with agricultural concerns taking much of the front page and some inside space as well. 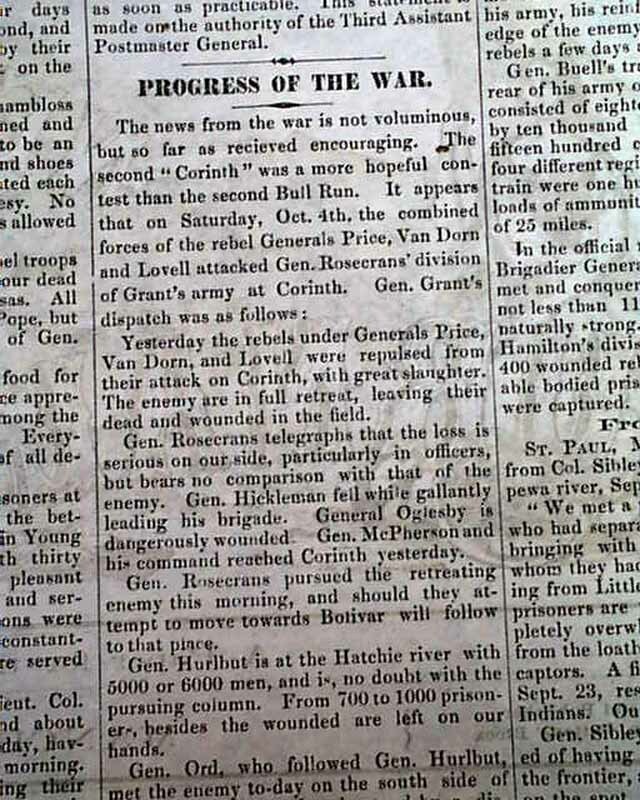 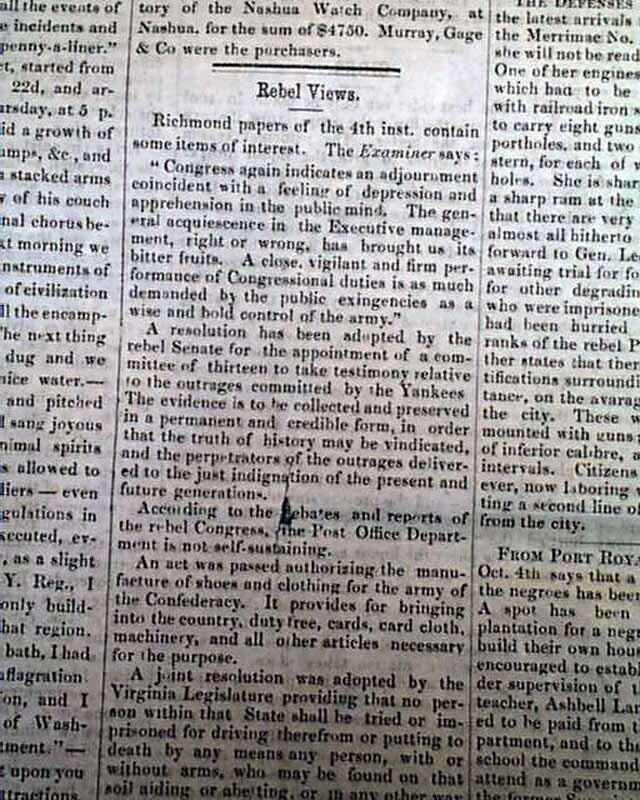 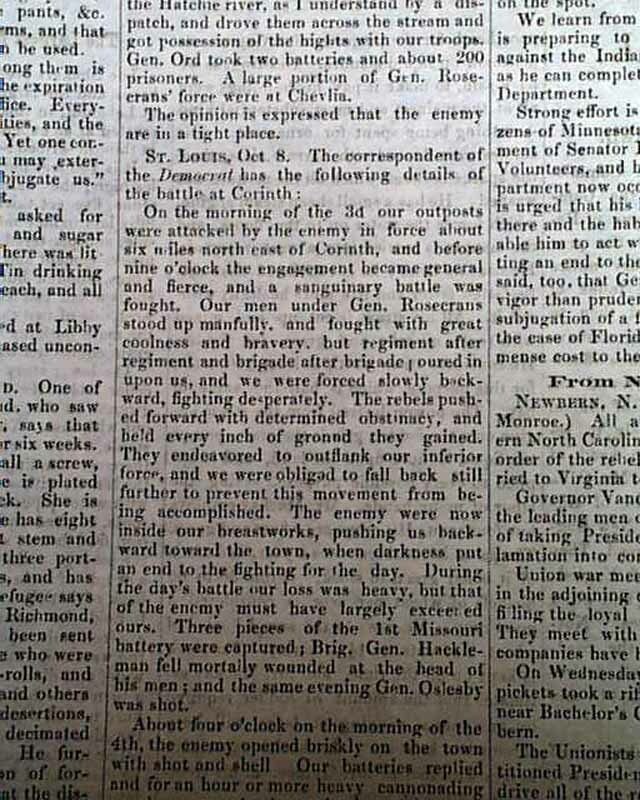 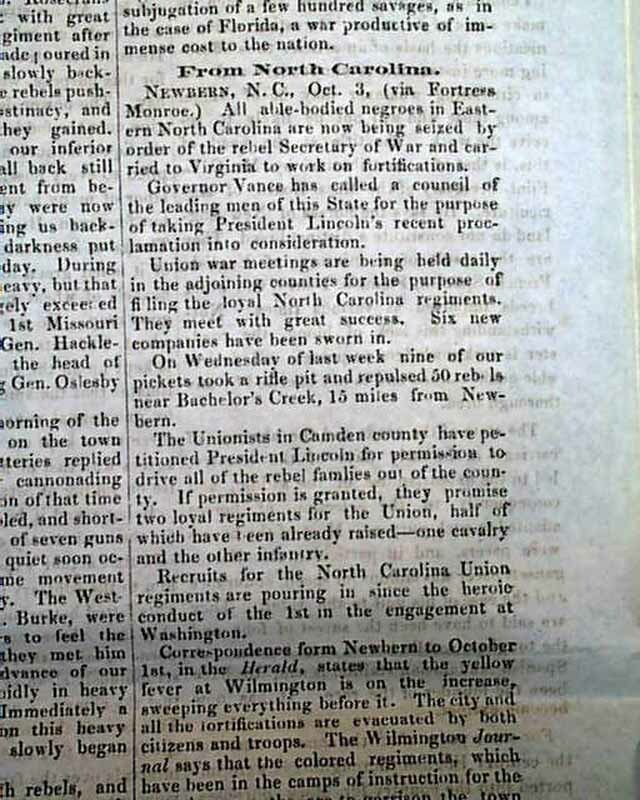 However Civil War reporting is found on page two with a review of the week's battle events and military concerns. 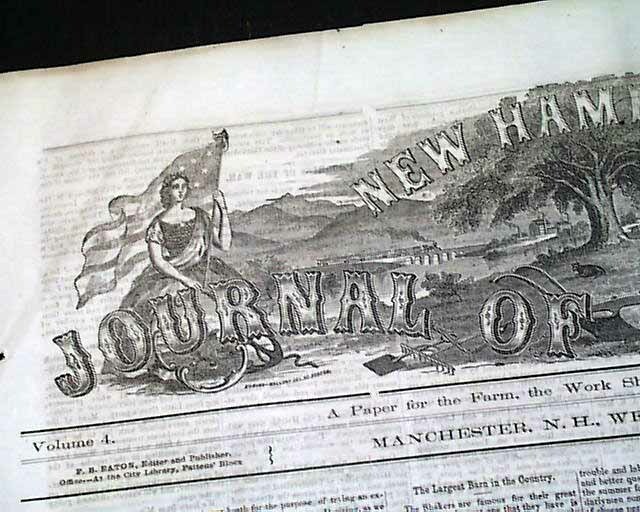 Of added significance is the large and very decorative masthead engraving (see photos) which includes a central pasture scene bordered by two women, one with a patriotic theme holding an American flag, and the other with an agricultural theme holding a sheaf of wheat. 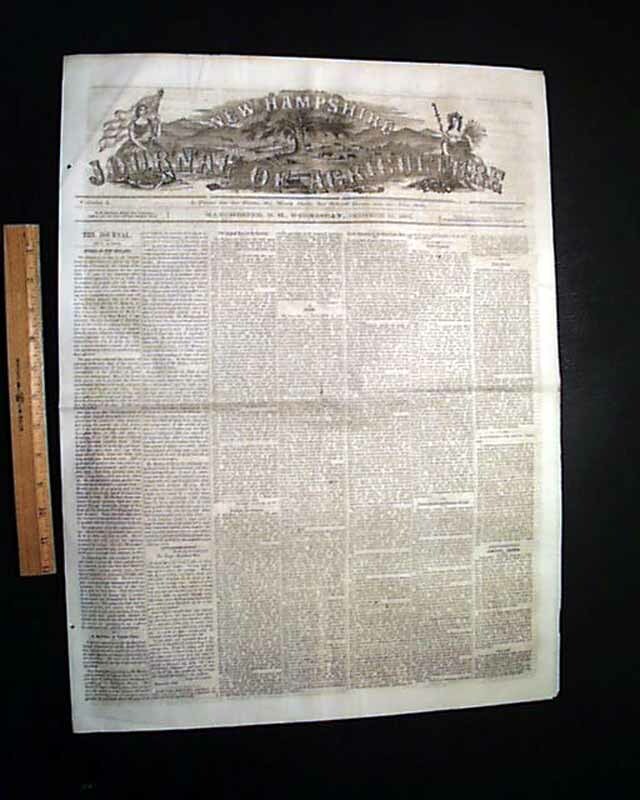 Complete in 4 pages, minor fold wear, very nice condition.